There are some great all inclusive dive resorts around the world. Here you'll find the ones that past guests love and recommend. Our top recommended resorts really stand out from the rest, but we are always on the lookout to find more and to build a community of expertise. 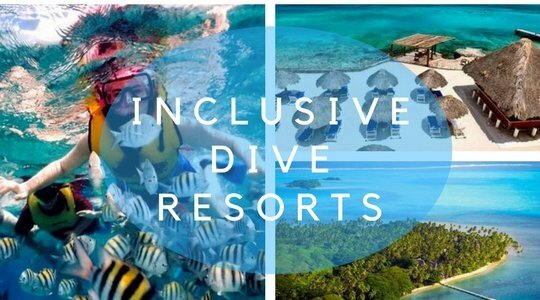 If you know of any all inclusive resorts, or any resorts that really look after divers, drop us a line in the form at the bottom of the page. Exclusive offer for Scuba Divers at Sandals Resorts! 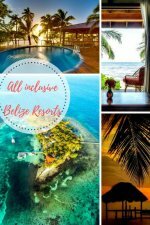 Located in the center of Turneffe Atoll in Belize, this is one of the best rated dive resorts around. It has all inclusive packages and promotes eco-tourism. Diving trips include the barrier reef, a number of atolls and whale and shark trips. This resort offers fly-fishing, snorkeling and a relaxing atmosphere. Meals are served family style (you all eat together). Dive around the reef and atoll. Sandals is a resort chain that really goes out of it's way to teach and facilitate diving. VIDEO The Best Scuba Diving on the Planet? A seriously dive orientated location on the island of Vanua Levu. 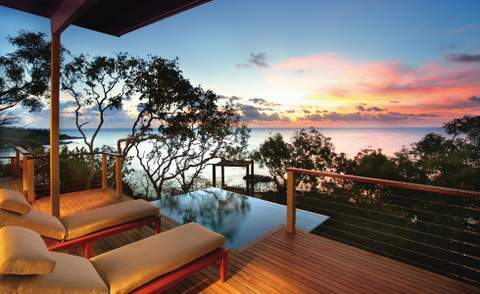 This resort was recently voted Worlds Best Environmentally Friendly Resort and Fiji's Leading Boutique Resort. 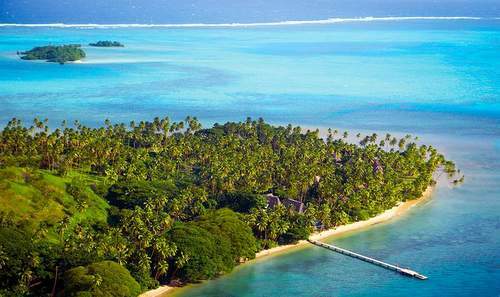 Click for more information on Jean-Michel Cousteau Fiji Islands Resort. Another great resort in Fiji is Nakia Resort and Dive. It receives perfect reviews from everyone I've seen. If you love diving and resorts, it's definitely worth a look. The Mexico Caribbean dive spots offer the highest density of all inclusive resorts of about any location in the world. A good many of these resorts include dive packages. This is especially true of these Cozumel All Inclusive Resorts. A few steps out of your room and you are at the dive shop which caters for beginners to dive masters with daily trips to the reefs as well as Cenotes dives on the mainland. Dive with the sharks in season. This is a friendly island retreat created by English-speaking friends and partners. It's in Honduras and receives great reviews! Diving is at the reef and they also have a spa. All inclusive packages available. Click here for more information on Utopia Dive Village. Located in Roatan, Honduras, this resort has a beautiful secluded beach, fishing and is reasonably priced. Diving is at the Great Mayan Barrier Reef is only 100 yards away. You can get a dive package that includes meals. Click for more information on Roatan Dive Resort. In the Philippines. Offers Scuba Study Packages. Snorkeling, fishing and other activities. Meals are buffet style. More information on Portulano Dive Resort. The Dominican Republic is a classic place for all inclusive dive resorts as it is rich in both all inclusive resorts and good dive conditions. There are a number of all inclusive resorts in the Caribbean which offer good diving packages. Find out about Small Hope Bay Lodge Bahamas here. Located in the Bahamas - close to Fort Lauderdale (across the water of course). Dive at coral reefs, blue holes and coral caverns. All inclusive. More information on Coral Caverns. A good Caribbean dive resort located near the beach in Willemstad with a restaurant, outdoor pool spa amenities. Kontiki Beach Resort on one of the most popular beaches of Curaçao close to excellent diving. More information on Kontiki Dive & Beach Resort. Australia (as you might know) has the Great Barrier Reef but they don't really do "all inclusive". 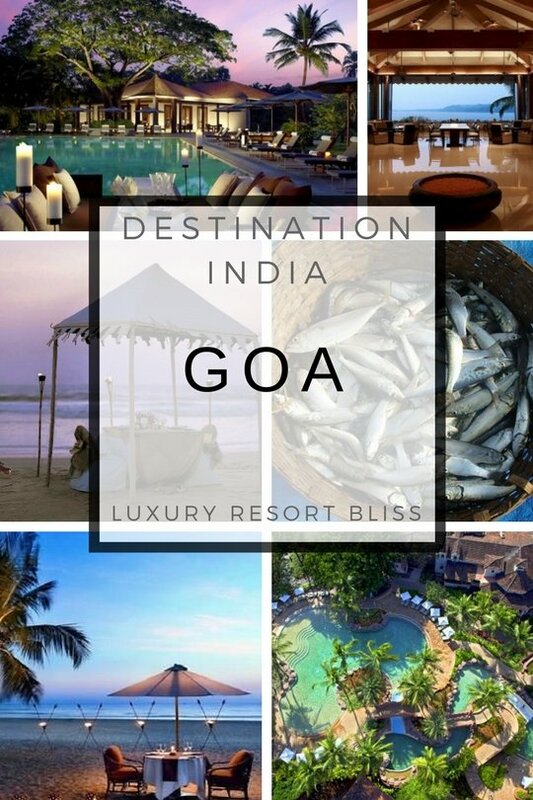 There are 2 great resorts worth mentioning. But there is also Shark Bay on the other side of the country. Why not also check out the Great Barrier Reef Island resorts in Australia for great dive opportunities. Paradise Bay actually is all inclusive but doesn't have any dive packages. 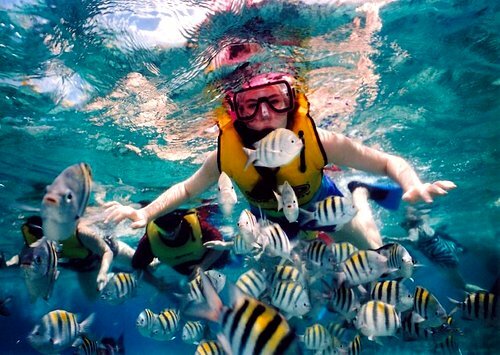 It's about 2 hours to the reef but you can do coral diving and snorkeling around the resort. Bali is another great dive resort location and excellent for your PADI dive instruction. Best pick here is Raja Ampat Dive Lodge on Mansuar Island, Mansuar Island, Indonesia. We have reviewed a number of dive resorts in Ko Phi Phi you may find of interest. Check out the beauty of these Maldives Resorts: Also a great diving location. So many atolls and clear water. The resorts here are just beautiful!